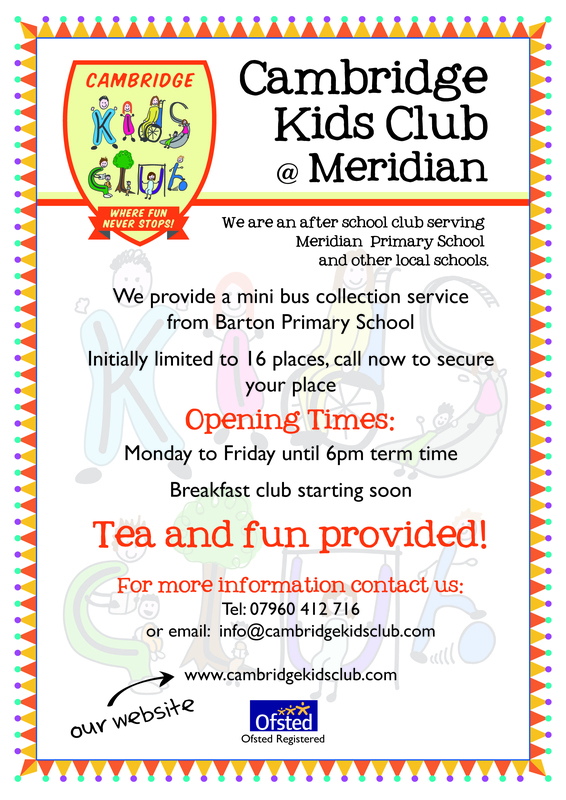 Kids Club operate a before and after school club at Meridian School. For further information, please refer to www.cambridgekidsclub.com. Kids Club is an entertaining place to go after school. You can draw, play in the sandpit, go outside and play, and they always have nice things to snack on! We even watch movies, which we can choose ourselves. The leaders are kind and caring, and always make sure we are having lots of fun.